OAKLAND, CA, September 16, 2013, 8:21 am -- /EPR NETWORK/ -- The Productive Artist today announced the official launch of founder Rebecca Ahn’s new book, The Productive Artist’s Business Plan, as a new and complementary offering to her arts business consulting services. Now available on the Amazon Kindle store (http://www.amazon.com/Productive-Artists-Business-Plan-ebook/dp/B00F2AK2VK), the book has already begun receiving rave reviews from the wide network of “The Productive Artist” readers and fans. Do you have a great vision for your art, but no idea how to turn it into reality? Do you know you need a business plan, but don’t know where to start or wish you had a more creative option than the traditional business plan templates out there? Let Rebecca Ahn show you how to become a more Productive Artist! No matter what kind of creative work you do, if you are driven to create something original and innovative, and want to make a living from that, then you are an Artist and this book is meant for you! 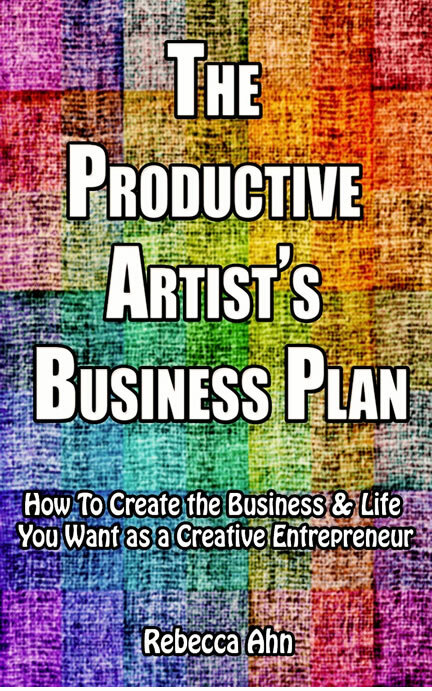 This book was designed specifically for Artists and creative entrepreneurs like you, who need a business planning method as unique as the art you create. The key is not to tell you the right answers, but to ask you the right questions. This book will guide you through Rebecca’s simple, yet thorough, signature Seven Questions that you must answer to build a sustainable business around your art; one that is fulfilling for both you and your customers. Each “Quest” on your journey will translate into one piece of your business plan puzzle. Rebecca will help you outline your offerings, map your competitive landscape, craft your marketing, operational and financial plans, and design your action plan to bring it all to life. When you finish the book, you’ll walk away with a comprehensive and creative plan to guide you on your next adventure building the business and life you want as a creative entrepreneur! As The Productive Artist, Rebecca Ahn is on a mission to develop more Productive methods for Artists of all types to create and thrive, and inspire a greater realization for the Productive value of the Arts in the greater modern economy. Artists today have the power and means to apply a more Productive business model, one that provides the marketplace with more measurable value and the Artists themselves with greater solvency and a more Productive living. It isn’t about making more money or changing art to fit some more traditional template. It’s about helping Artists build the right model and the right mindset that fit with their vision and character, in a way that won’t restrict but rather enhance what they want to create. The idea is to give the creative chaos greater structure and guidance, which will only strengthen the creative output while minimizing the stress and overwhelm, and help turn innovative ideas into Productive action.